Producer Boney Kapoor on Wednesday invited popular Tamil star Ajith Kumar to Bollywood after being impressed with his performance in his upcoming production venture "Nerkonda Paarvai", the Tamil remake of "Pink". Boney forayed into the southern market with "Nerkonda Paarvai", which stars Ajith in the role of a lawyer. "Saw the rushes of Nerkonda Paarvai. Happy. What a performance by Ajith. I hope he agrees to do Hindi films soon. Have three action scripts; hope he says yes to at least one of them," he tweeted on Wednesday. Ajith, who has predominantly worked in Tamil industry, had starred in a key role alongside actor Shah Rukh Khan in "Asoka", his sole Hindi outing. Directed by H. Vinoth, "Nerkonda Paarvaia" also stars Vidya Balan, Mahat Raghavendra, Shraddha Srinath, Andrea Tariang and Abhirami Venkatachalam, among others. "While working with Ajith in 'English Vinglish', Sridevi had expressed her desire that Ajith does a Tamil film for our home production. Nothing exciting came up till one day last year; Ajith suggested remaking 'Pink' in Tamil. 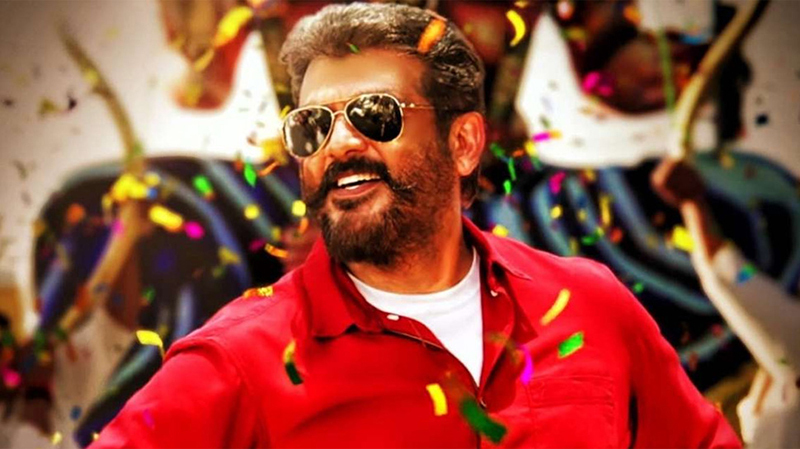 She immediately agreed as she thought it was the most appropriate and timely film to make and Ajith would bring all the elements required to make it into a great Tamil film," Boney had previously said. The film features music by Yuvan Shankar Raja. Popular lensman Nirav Shah has cranked the camera. Boney also confirmed that he has another project with Ajith in the offing. "We hope to bring the remake of 'Pink' to theatres on August 10. We are subsequently doing another film together and that will be scheduled to go on the floors in July 2019 and will be released on April 10, 2020," he said.